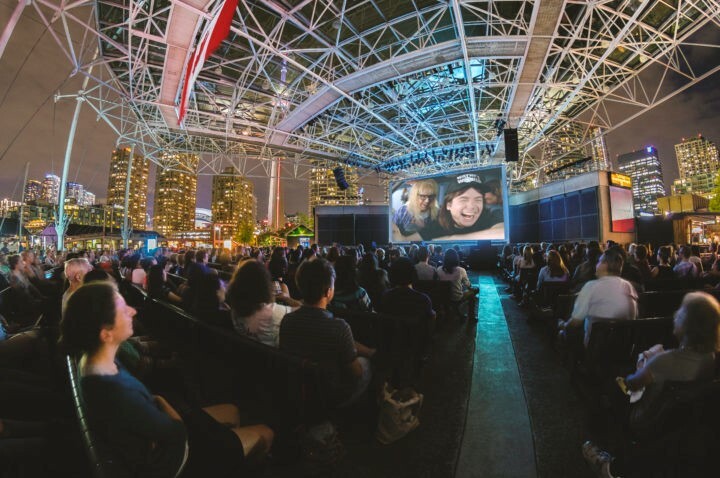 If you are coming to Toronto or you are here and looking for cheap things to do at this summer is happening a lot of outdoor movies around the city for free. August 17 – 19, 2017. Movies: Right now Beauty and the Beast is in the lead, with Raiders of the Lost Ark a strong second. 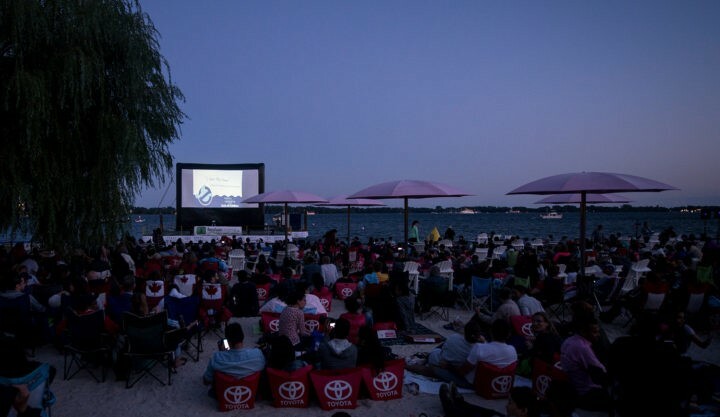 movies shown under the open skies on a two-sided screen set atop a barge in Toronto Harbour. Bring a chair, a cushion or a picnic blanket and join the fun. Movies: The Bad Batch, It Comes at Night, Sundowners. Open Roof is back at 99 Sudbury, pairing indie films with music every Tuesday night throughout the summer. Toben Food by Design food truck and drinks from Amsterdam Brewery will also be available onsite. Tickets are priced at $15. Thursdays. July 6 – 27, 2017. Movies: A League of Their Own, Hairspray, Invictus. 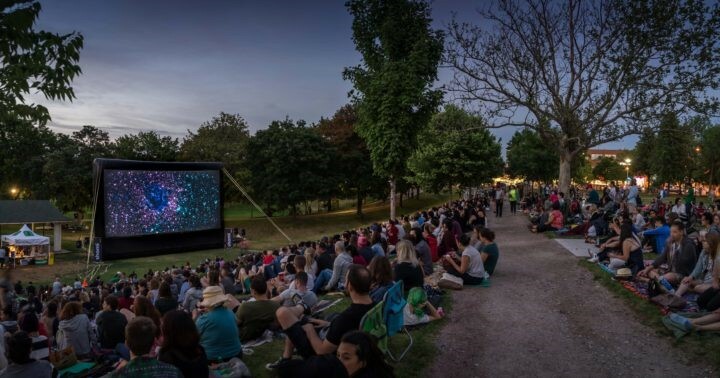 Toronto Outdoor Picture Show will present films just minutes from many bustling east-side Toronto neighborhoods, under a city skyline that can’t be beat. Movies: Pride, The Lego Batman Movie. Pack your blanket and picnic dinner for outdoor films in St. James Park. St. Lawrence Market Neighborhood BIA, the series features one film a month over the summer. Movies: Hunt for the Wilderpeople, Hidden Figures, Moana, Bicycle Thieves. 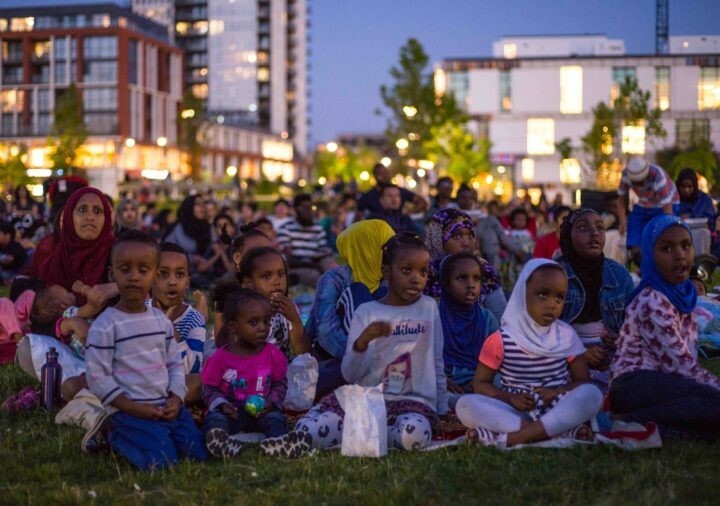 Under The Stars is an outdoor summer screening series hosted by Regent Park Film Festival, showcasing a great line up of family-friendly families. Before each film at sundown, there’s also music and activities including yoga, DJ workshops and dance classes. Movies: Bee Nation, Best in Show, Strictly Ballroom. The festival curates a combination of both popular and critically-acclaimed films. August 12 and September 16, 2017. Movies: The Sandlot, Ace Ventura Pet Detective. 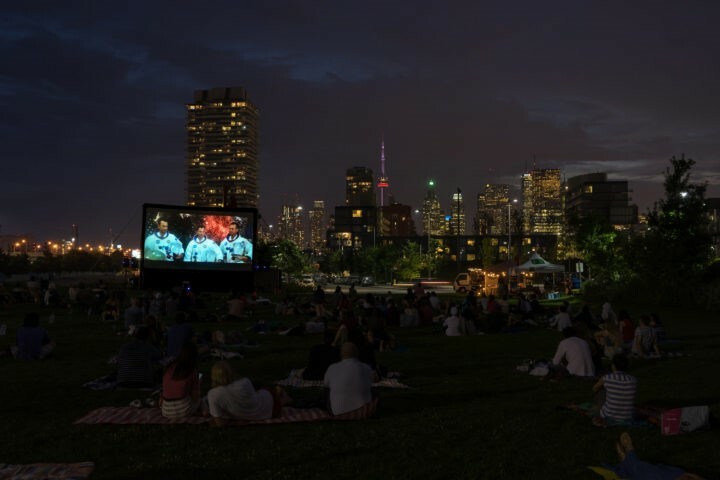 Once a month bring your blankets and watch a movie from 8 p.m. – 10 p.m. Snacks are available to purchase from 7 p.m.
Harbourfront Free Flicks at Harbourfront Centre. Movies: Wayne’s World, The Sun at Midnight, Meatballs. This year’s Free Flicks celebrates Canadian talent. 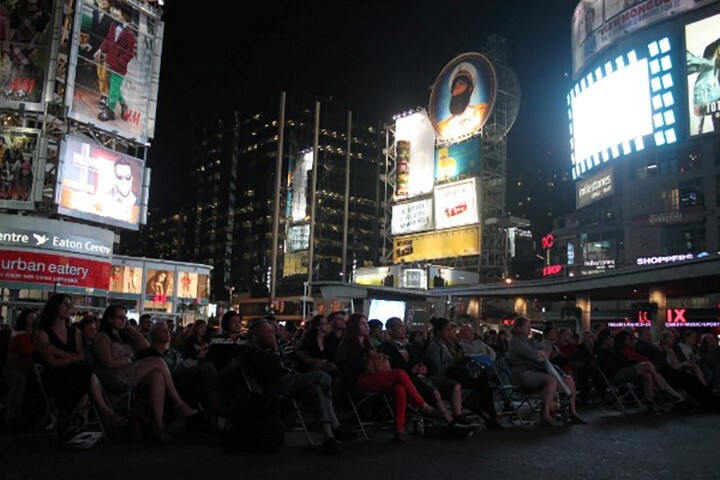 There’s also weekly film trivia contests, where you can win tickets to Harbourfront Centre performances.